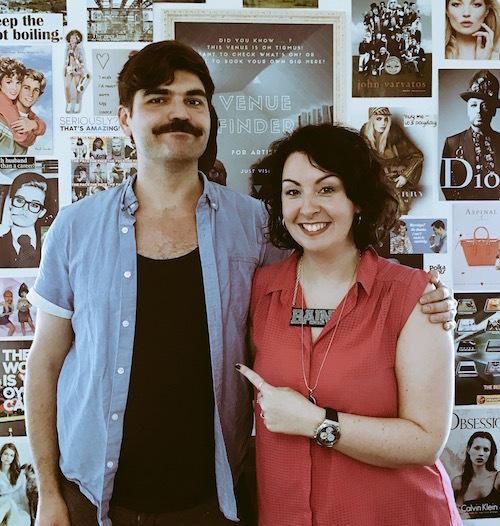 The fabulous John-Luke Roberts dropped into the studio today. John-Luke has been a writer for TV shows such as Never Mind The Buzzcocks, Have I Got News For You and co-wrote the sit-com Bull starring Robert Lindsay and Maureen Lipman. Conversation ranged from John-Luke’s start in comedy to the merits of his moustache and nose-job. John-Luke enthralled us all with his Henry VIII themed poem; we had Plus One’s and the usual weird news headlines.